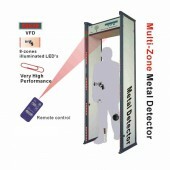 Want to own a walk through metal detector that is easy to assemble and un-install? 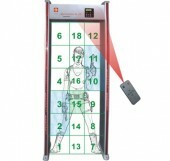 Then this 6 Zones Walk Through Metal Detector can meet with your requirements. 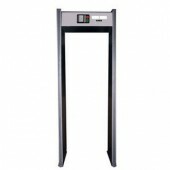 This walk through metal detector owns light weight, stable performance and can pinpoint metal location 6 zones horizontally. 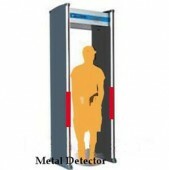 And it owns six independent detection zones that can identify multiple target locations precisely from head to toe on the left, center and right sides of the body. Besides multi-dimensional coil design and advanced broadband detection technology have been applied on this device so it owns the ability of providing superior target analysis, ferrous and non-ferrous weapons detection, discrimination and higher patron throughput. And the LCD control panel is easy to operate. 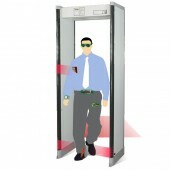 Besides alarming system and pass code protection technology are also used on this device. And it owns a wide range of applications area such as the airports, correctional facilities, arenas, public buildings, private buildings, schools, courthouses, corporate security, and historical landmarks and so on. If you want to buy one and know more details, just come here contact us then you will get the high quality product at reasonable price with free shipping. the device is really easy to use and operate, thanks very much! Received the device two days after paid for it, thanks! 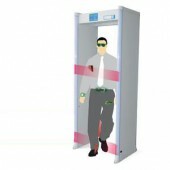 Perfect product for security checking, like it very much!